Item Citation: Generals Bragg, D.H. Hill, and Polk, C.S.A. Cp970.73 H64g. Detached from Historical magazine., [Vol. 1, 3rd ser.] 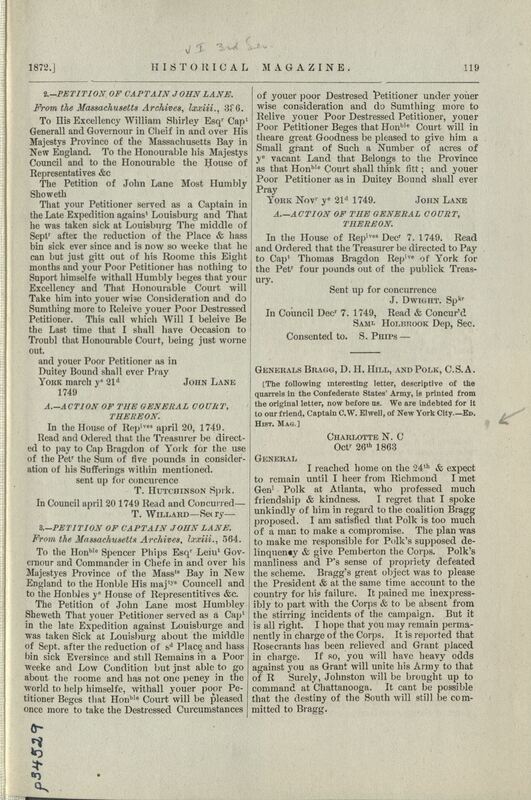 (Feb., 1872). [Morrisania, N.Y. Henry B. Dawson], 1872. North Carolina Collection, Wilson Library, University of North Carolina at Chapel Hill. 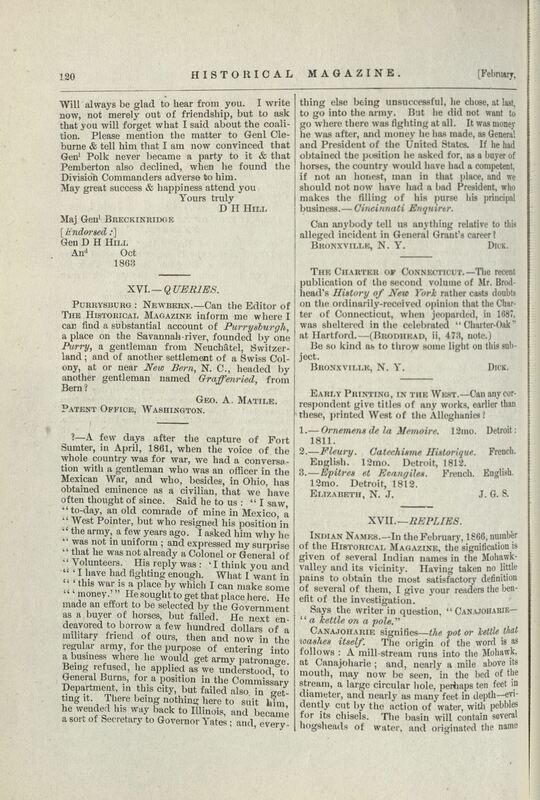 This entry was posted in North Carolina Collection and tagged Charlotte, correspondence, D.H. Hill, Gen. D. H. Hill, Historical Magazine, John C. Breckinridge, John C. Pemberton, Lucius E. Polk, North Carolina, published letters. Bookmark the permalink.